Meanwhile life continues and autumn inexorably follows summer and the cycle of transferred energy continues; leaves turn into compost, enriching and feeding the soil with nutrients that are then ingested by the tree that bore them. In their lifetime, through the process of photosynthesis, leaves transform light energy radiated from the sun into chemical energy for fuelling the growth of the tree and for facilitating its functions. Although there is a tinge of sadness when we think of decay and death, there is a sense of wonder because of the incredible variety of life; likewise, the mind-boggling inventiveness of God’s creativity and His ability to put it all together. He sustains it too! To create Just one living leaf is an awesome miracle in itself! 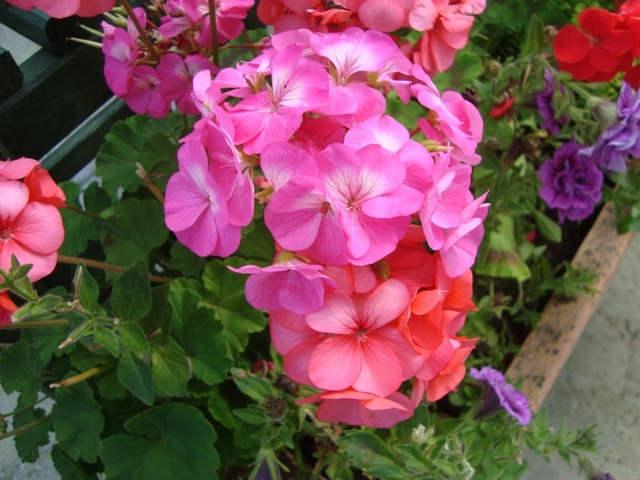 And there are so many different sorts, all specifically suited to their mother plant, each growing where the soil and climate is appropriate for them. When autumn comes and leaves are scattered over the garden I can chose to let them be, or I can attempt the task of removing them to the recycling bin. 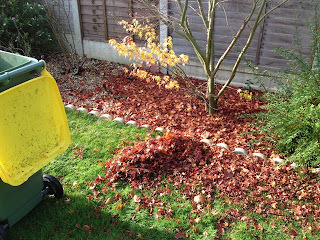 This autumn, because of it being exceptionally wet, opportunities for tidying the garden have been few. Hence, leaves are rotting where they fall. 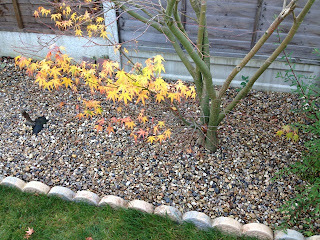 There was a dry day yesterday when I managed to clear a small area under the Acer tree. Today, the rain has drenched the garden yet again, which makes me think I’m fighting a losing battle, but on refection, it’s a battle I can never win, for the power and will of God is insuperable. He places the leaves where He wants them, and allows me to move those He wants me to move. The so-called freewill that I have is limited, because I am limited, unlike God who has total freewill, because He is unlimited. He is omniscient, omnipotent and omnipresent. ‘In the beginning was the Word, and the Word was with God, and the Word was God. He was in the beginning with God. There is nothing I can say about Halloween that will possibly make a scrap of difference, but that doesn’t stop me giving vent to my feelings. In fact, I shall feel a lot better for it. From previous posts at this time of year, you’ll gather I don’t like Halloween. Back in the 1950s nothing was heard about it – Guy Fawkes and fireworks, Yes, and burning of the guys, Yes. Kids would create their own and bring them to the communal fire at the village green. There would be a few fireworks and jacket potatoes, plus a huge amount of messing about and banter, all enjoyed by the children and their parents. By ten o’clock, the village would be quiet, most youngsters snugly asleep in their beds. Today, it’s totally different - fireworks go off every evening for a week or so either side of 5th November. In addition we now have Halloween on 31st November. Both events are highly publicised by those who want to make fortunes from selling items for them. The US National Retail Federation estimates 2.5 billion dollars will be spent this year on Halloween costumes alone! There’s a similar trend in the UK. Even adults dress up, have parties, gorge themselves and binge drink. Unwittingly, many parents think it’s not bad to let their young impressionable kids dress up as witches, wizards, Frankenstein monsters, ghosts, zombies or ghouls and encourage them to attend parties centred around dark and sinister themes; those of horror, frightening spirits, demons, devils, vampires, bats, spiders, toads and the contents of witches cauldrons, spells, killings and death, torture and the underworld. Maybe this is hyperbole, but I think you get my point. 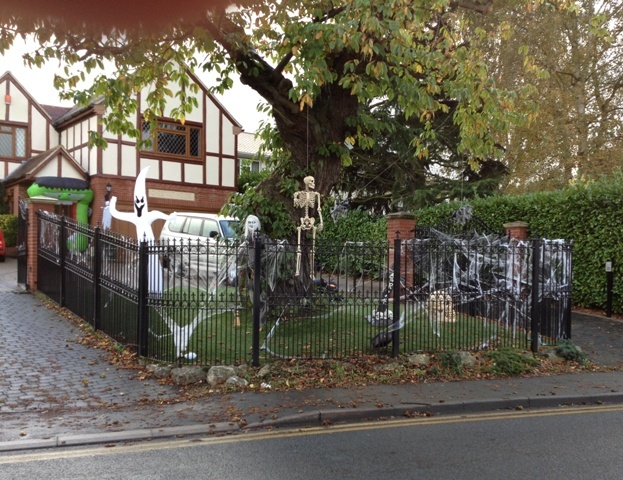 Parents can so easily be caught up with the ‘spirit’ of Halloween, not wanting their kids to lose out. Their desire is for them to engage in the same activities as their neighbours’ kids. Groups of children, some supervised, roam around the streets knocking at doors, playing trick or treat, not realizing they frighten frail old folk, wake up babies and disturb domestic pets. Where I live, one or two trendsetters decorate the exteriors of their properties, just as they do at Christmas, but at Halloween they adorn them with spooky ghosts, skeletons, cobwebs, spiders, witches and caldrons. I’m not a killjoy who doesn’t want kids to have fun, but I would prefer to see them enjoying wholesome alternatives, such as taking part in creative activities under the supervision of their parents, youth leaders or teachers. Responsible adults could organise a mask making party, arrange a cup cake decorating evening, run a themed dressing up party, or have a time for singing and listening to music, or a story telling evening. According to their age, youngsters could make Christmas cards, Christmas decorations, or be shown how to crochet or knit. Failing all else, they could play ordinary party games, with an incentive that at the end there would be a treasure hunt for hidden goodies, chocolates and sweets. There must be a thousand and one more engaging, constructive activities for children to do on Halloween than delve into dark and morbid things. Stuart was brought up in England at Frisby on the Wreake, near Leiscester. Being an outdoor enthusiast he took up rock climbing and mountaineering. He moved to Australia in 1987 where he continued his sport, but arthritis of the knees caused him to look for a challenging alternative. 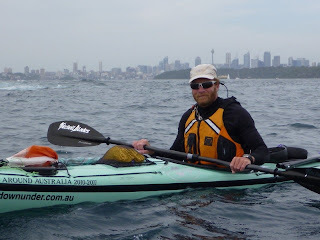 Having read a book by Paul Caffyn who kayaked around Australia in 1983, he decided to take up kayaking. Always looking for personal challenges he thought he would have a go at emulating Caffyn, but his venture would be low-key, and self-financed. Married, with two children, this 16 month adventure would be a big undertaking. There were enormous difficulties to overcome. 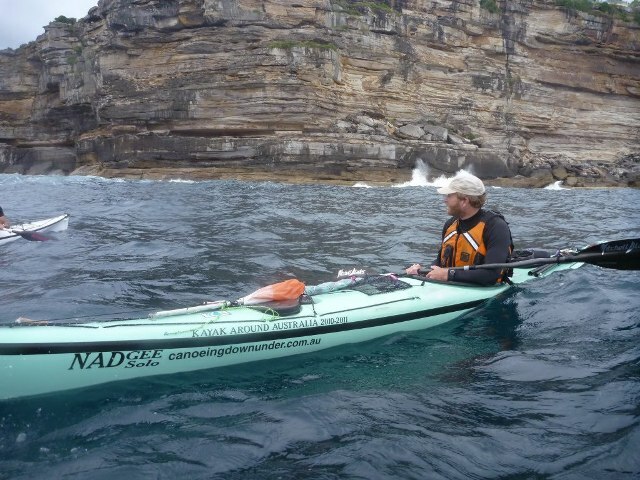 He chose a Nadgee solo kayak, Wilderness Wear thermals and clothing, and a Sea to Summit Dart 2 tent to see him through the 16,000 kilometres of paddling. Taking an anticlockwise route, he left Broome, North-western Western Australia, on 10th April, 2010. His first day was almost his last, because he suffered badly from heat exhaustion while paddling 40 kilometres in 50 degrees heat. 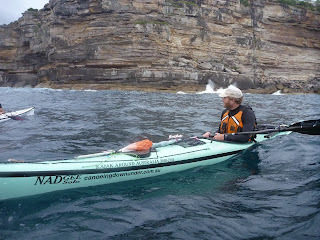 Ahead of him there were three very challenging stretches of coastline comprised of high cliffs, each requiring him to paddle for many hours; along one stretch he kept going for 30 hours before he could take respite ashore. After arriving back at Broome on 28th July, 2011, where there were no more than a hundred people to greet him. Stuart was very unassuming of his achievement. He had sought no publicity; all he wanted was to see the whole coastline of Australia and to fulfil his dream. He had some tense moments, such as when a Tiger Shark bit off the rudder of his kayak, and when he was thrown out his kayak when approaching a beach through surf. At one time crocodiles surround him. 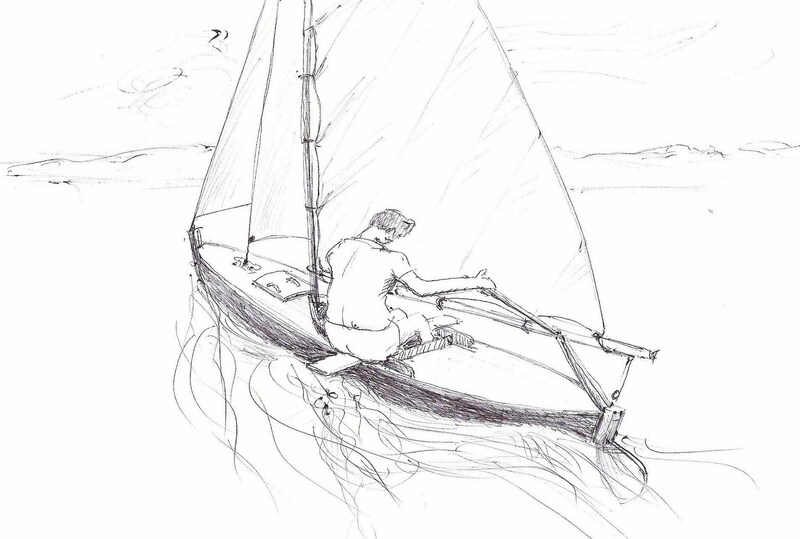 Altogether he was capsized five times because of heavy seas or sudden gusts of wind. When asked about his remarkable achievement he praised his wife for her support and for the spontaneous help people had given him on the way. His chief concern was getting back to work and to live a normal life. There was little to say about himself. My West Wight Potter trailer sailer is laid up in my garage, and I have no intention of putting her in the water until spring next year. The air is cold, and the north wind scatters autumn leaves. 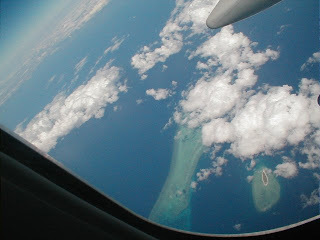 I look at heavy clouds and dream of blue skies, gentle winds, golden beaches, estuaries, and tiny coves. My mind wanders, and I recollect pleasant outings with my Acadia kayak. Paddling and sailing her on local rivers brought great satisfaction. In a jiffy, I could put her on top of the car, and within minutes I could be paddling or sailing along the River Crouch. There was one main drawback; I never really felt secure in her. If the water got rough I had to take care not to capsize. My sense of balance and reactions to movement were not as good as when I was a young man. 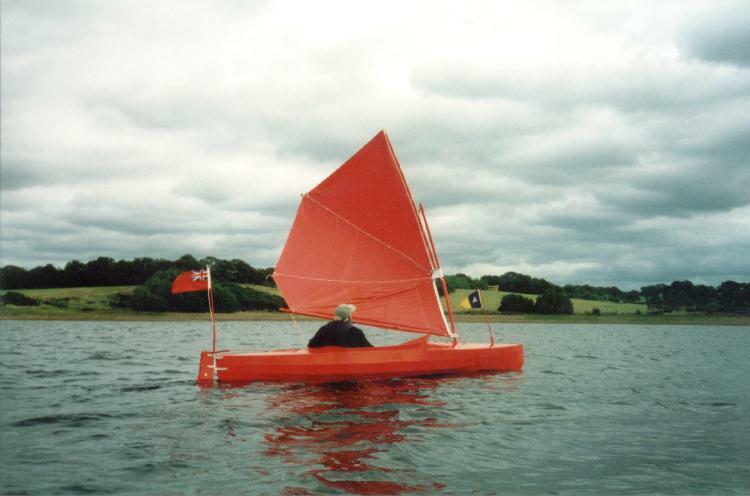 Then I built and owned a plywood Ammassalik kayak, 21’ long and 19” wide. I had to balance her like a bicycle, but she was very fast. Again, I never felt completely relaxed while paddling her, because if she capsized I had to roll her upright by using the paddle. Once, when practising the Eskimo roll, I failed to get her up, and when I tried escaping from the small cockpit I became stuck. A friend who was practising nearby came to my aid. According to the Bible, the age of the world would appear to be about 6,000 years. * How can that be, since palaeontologists claim that it is very much older? Their claims are based on the fossil record**which would suppose the world is at least 3.0 billion years old because of fossil dating. Others maintain that the Universe came into being 13 billion years ago, believing an extremely hot ‘something’ expanded rapidly and began to cool, causing it to continuously expand, resulting in various elements combining to form the cosmos. Where the ‘hot something’ came from, your guess is as good as mine! Counting from the time of Adam’s creation, 1,657 years* passed by; then there was a worldwide flood, which was of God’s making, to destroy wicked mankind, with the exception of eight blessed souls and every animal kind, all of whom survived aboard Noah’s ark. From the survivors, the part of the world where the ark rested was rapidly repopulated. (Genesis 10) In some miraculous way by the planting of crops and the natural regeneration of plants, mankind had abundant sustenance. Bear in mind that Noah lived to be over 600 years, and he begot Shem, Ham and Japheth (Genesis 6:9) who with their wives set about populating the world again. Generally, people in those times lived longer than they do today, and they were able to procreate over a longer period than their modern counterparts. Possibly, climate and diet had something to do with it. An argument put forward by protagonists of the Bible is that the fossil record shows creatures such as dinosaurs suffered diseases, but I know of only one*** such case, and that is open to question on the part of those who made the claim! In Genesis, God declared that ALL He made was good; therefore, until Adam’s disobedience, and God’s curse, there was no disease or death. (Genesis 3:17, 18) At that point in time, the earth and all living things were destined to decay and die. Adam and his offspring became mortal. If, and there is a big ‘if’, disease was found in fossilized creatures predating the fall of Adam who was created at the end of six very long days, equating to millions of years, the proposition that six long periods representing days of creation, is quashed. On the other hand, if disease was found in fossils of creatures that died between Adam's fall and the flood, then palaeontologists’ findings would support the long day interpretation of the days of creation. At face value, there appears to be no correlation between the two timelines representing creation and world history, but by accepting the long day biblical interpretation of years, with Adam being created at the end of the sixth day, harmony can be found. There is no reason to suppose the Bible is wrong. In fact, it is more fanciful to believe there was a ‘big bang’. Each to his choice clings to his belief, while knowing he was not there at the time. The advantage a Christian has is that he knows the truth in his heart; for his faith in God is given to him by God himself. (Ephesians 2:8) The same goes for Creationists and Fundamentalists who hold to their belief that God created the heavens and the earth over a period of six literal days, and rested on the seventh. Amen. Terry Procter’s Paper, ‘Showing Your Age’ is about various scientific means of dating objects. The very word, ‘inflation’ gives me the shivers, as if it were inflammation of the brain. Now inflammation of any part of the body is uncomfortable, and with it there is a price to be paid. An inflamed foot can make walking pretty painful, but acute inflammation of the brain, ‘Encephalitis’, is a very serious business. Likewise, monetary inflation is a serious business. As prices rise we find we have less in our pockets for those things that are not essential, and for some, they have none left over, or even find themselves going short because they can’t buy essentials. As prices increase, the value of money decreases. When I was a kid, I could buy a foot length of black, sticky liquorice for a penny. I can remember handling farthings, which were worth one fourth of a penny. I could buy a couple of Gobstoppers for a farthing. There were threepenny bits, sixpences, shillings and half-crowns. Until 1984 there were pound notes. On 15th February, 1971 the calamitous day of decimalisation arrived, and in one fell swoop the value of money plummeted. Since then there has been a steady decline; indeed of late, there has been a rapid decline. 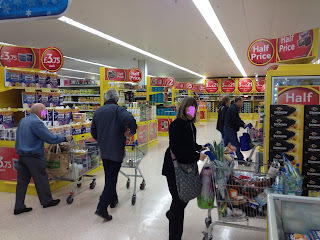 I believe part of the problem is that there has been a tendency for retail outlets to round up prices; for example, instead of an item being £1.43, allowing for a fair profit margin, it is labelled at £1.50. Over the last month or so, I have noticed TESCO has been offering packed vegetables at £1 per packet. 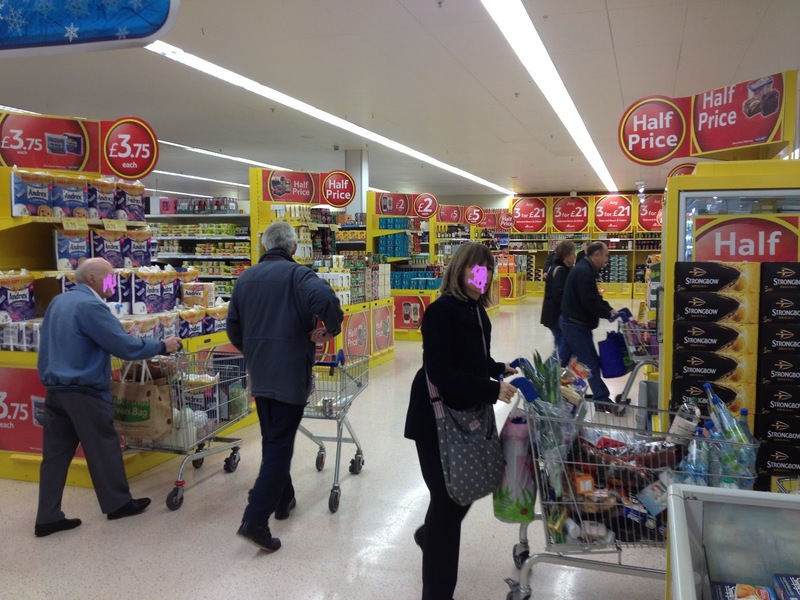 This is marketing as per the Pound Shop, but with different produce. What you lose on one item you gain on another - buy in bulk and sell with marginal profit on each item, but sell large numbers. If you can’t beat 'em, join 'em! 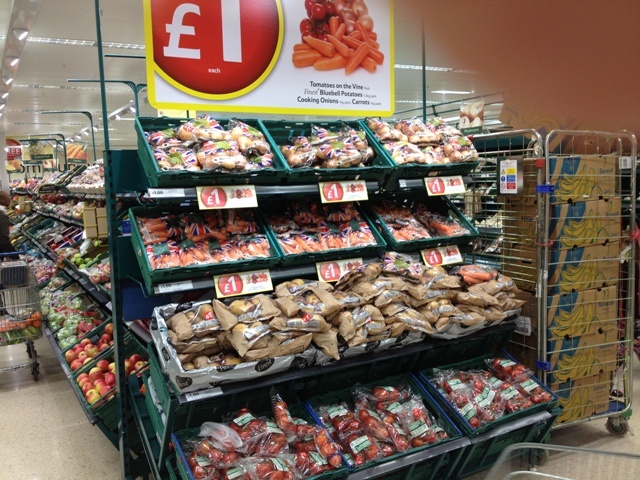 Maybe these packed vegetables are value for money – give away here, but take away elsewhere. Another tendency has been to package goods together in an effort to sell more. Instead of pricing these packages at say £1.57, they are priced at £2.00. 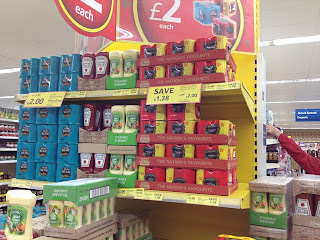 Typically where items are lumped together their prices follow a code: £1.00, £1.50, £1.75, £2.00 or £3.00, even £5.00, but never £3.21 or 73p or £4.31. The smallest fraction of a £1 reflected in these so-called value packs is 1/4, i.e., 25p. What’s happened to the one pence piece? The 99p Shop has them all, for giving change! The customer puts them in his piggy bank, because they are of no value to him unless hundreds are saved. I’ll take a couple of Aspirins to reduce the pain. I have just heard, via ‘In the Boatshed.Net’ (See link below) that Percy Blandford has reached his 100th birthday! Congratulations to him. For me, it was not a particularly happy time, but I learned valuable lessons. The best part of being stationed at Rhyl was that I could paddle my PBK 15* kayak on the sea at weekends. The Commanding Officer gave me permission to use the woodworking facilities at the camp for building my kayak. She was built from the very best materials and lasted for over 20 years; most of that time she was owned by a good friend who paddled her frequently on the sea at Torquay. He also took her on camping trips exploring English rivers. I am not the romantic type. 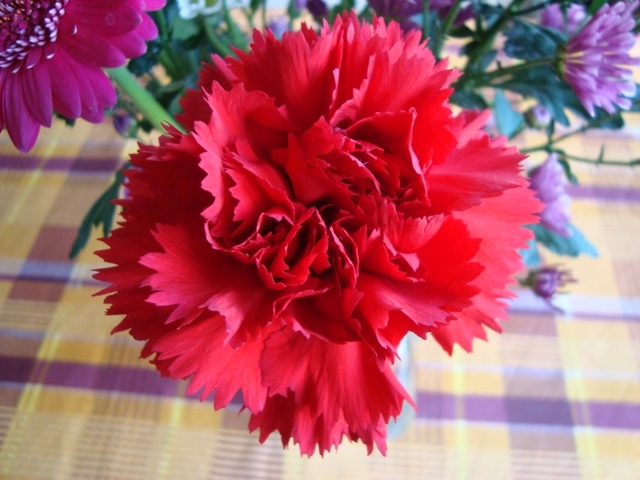 Hardly ever have I bought a bunch of flowers as a gift to express my thanks, or as a token of my love, and yet I am the loser, and those who deserve my thanks and love are losers too. I am a loser because I have not received joy from giving something that is precious, a special unique gift. Each flower is a thing of beauty, incredibly fashioned, its parts contributing to the whole: sepal, stamen, stigma and colourful petals. 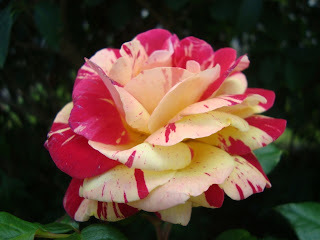 Even flowers that appear identical are minutely different, just as fingerprints and snowflakes are unique. Quite frankly, I am stunned – utterly amazed at nature’s variety, especially flowers. There are so many varieties; some with three petals, four, perhaps five and yet others with multiple petals in clusters, far too difficult to count. 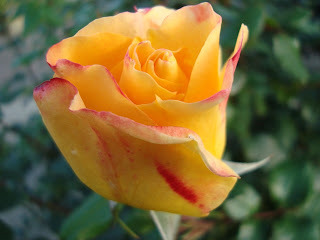 There are flowers shaped like trumpets or bells, and those resembling miniature sculptures, symmetrical or asymmetrical. Roses and orchids are my favourites. I remember being overwhelmed by the sight and smell of hundreds of wonderful orchids at a specialist show in Brisbane. In my mind I was transported to the Garden of Eden, where Adam and Eve walked with God before their disobedience. 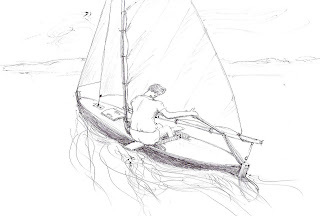 To make it easier for those searching for my small sailboats web links pages, I have listed them below in alphabetic order. If you want to refer to this page again, you could earmark it and add it to your favourites. Alternatively, you could copy the links to a word document, such as Microsoft Word, and save it to a named folder on your computer. Today, one of our Australian readers sent me this link* which I have added to the Sailing Canoes section. Thank you, Luke, for getting in touch. I hope you will find suitable plans for building a 50/50 decked canoe. Maybe there others that readers would like me to add? 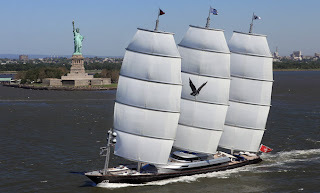 http://www.sailmakers.com/ Arun and Rockall Sails. http://www.quaysails.com/ Quay Sails (Poole) Ltd.